Max, Brindie, and Julia arrived last night to spend a few days with Cheynie and me. 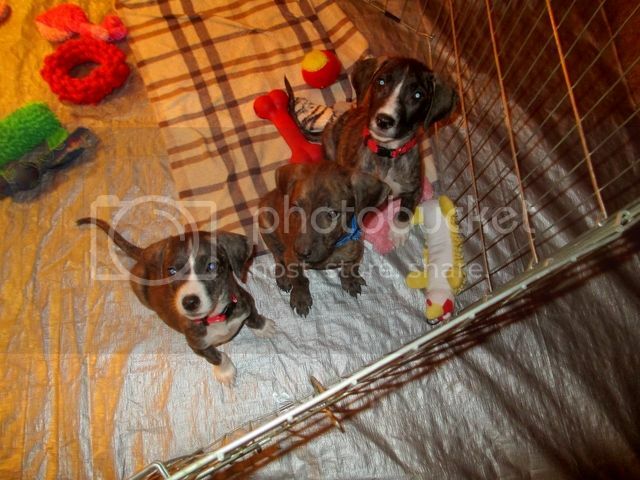 They are three pups that were rescued from Grand Turk and the only three of their litter of eight to survive. Little Julia, the female, was only about a pound and a half when they were rescued at about five weeks of age. Their foster mom from TCSPCA is the most amazing foster mom I have ever met. 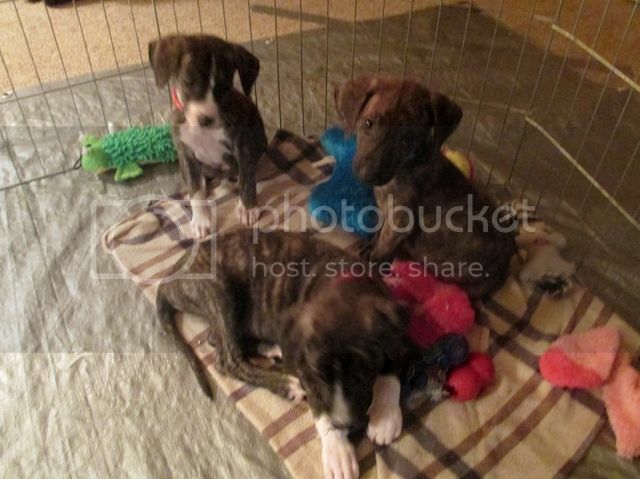 These little pups are about ten weeks old now and as healthy as can be. We are having a fantastic time with them! They are so cute, so smart, and so much fun! I saw their pictures on Face Book. They sure are cute! Don't fall in love too much!